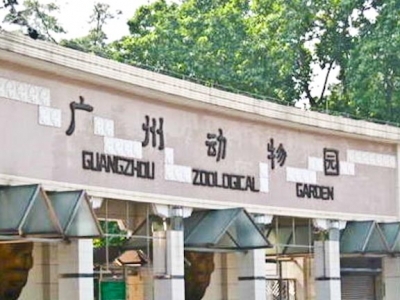 Your visit to Guangzhou, China will not be complete unless you take a tour of the Guangzhou Zoo. This is one of the best places to see a huge variety of animal species under one roof. Be it carnivores or herbivores or birds, you will find them all here - that too amidst natural surroundings. The total area of the zoo is about 430,000 square meters, which is why it can easily provide enough space to more than 5000 animals who can roam freely and comfortably. Along with two other zoos, this one features in the list of the three largest zoos in China - the other two being the Beijing Zoo and Shanghai Zoo. The Guangzhou Zoo is located in the eastern side of the Xian Lie Zhong Road. The zoo has undergone various developmental works in the past 50 years, which have helped it to expand its area and become more suitable for the animals. The authorities here have tried to create conducive environment according to the needs and behavioral habits of each species. Inside the zoo, you will find three separate districts namely the Bird Paradise, Garden of Reptiles and Amphibians, and the Central Exhibition District. This division will help you concentrate on all kinds of animals. You can also choose any particular division and explore the same. The Bird Paradise has over hundred different kinds of birds and fowls. The most notable among them are the black-necked crane and the black swan. As the name suggests, the Garden of Reptiles and Amphibians has a good number of fish and reptile species. The Central Exhibition District basically has all the mammal populations, including both carnivores and herbivores. The animals that you will find here are giant panda, golden haired monkey, lions, giraffes, dogs, tigers, rhinos, hippopotamus, elephants, deer, and zebras. Recently, there have been some new additions to this list. The new attractions that have got the tourists' fancy are the Goldfish Garden, Dinosaur World, Animal Performance, Butterfly World, and Lake Scenery. The Goldfish Garden boasts of a collection of about 10,000 goldfishes that include both famed and unknown species. In fact, there are almost 100 species of the fish available here. The Animal Performance includes some excellent shows that involve lions, dogs, monkeys, horses, and tigers. If you move even further into the Zoo arena, you will come across a lake where various birds come to swim. The lake also consists of a pavilion that will help you sit and enjoy the serene scenery. The springs and smalls islands increase the visual appeal of the place. The Dinosaur World is the right place to get more information about those animals and their time. If you want to see the beauty of butterflies, then the Butterfly World is the ideal place for you. The opening timings of the zoo are from 8 am to 4:30 pm. You can access it from any part of the city. In case you haven't had the time to arrange a transport in advance, you can hire a cab as there are plenty of them around. The Guangzhou Zoo is one of the most scenic places in China. So, don't miss a visit to this place.